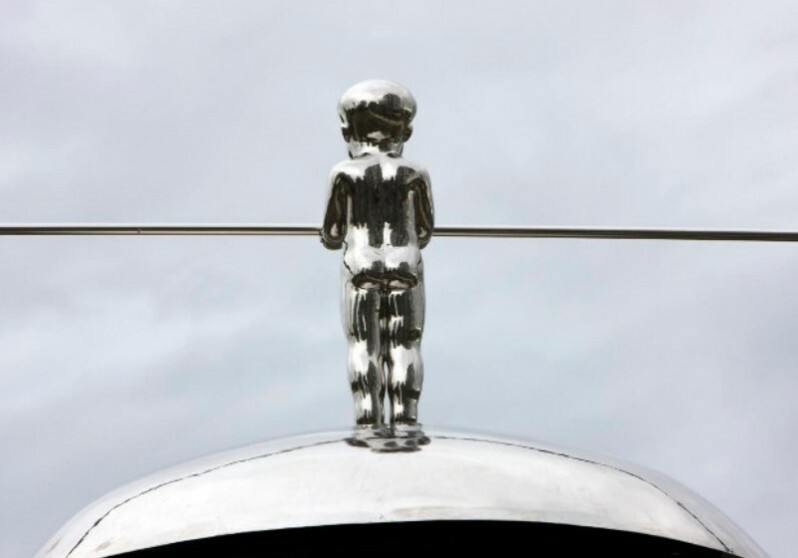 The installation titled Miss Mao Trying to Poise Herself at the Top of Lenin’s Head is part of a series of sculptures by the Gao Brothers depicting the image of the Chinese ruler, Mao Zedong, titled Lady Mao. 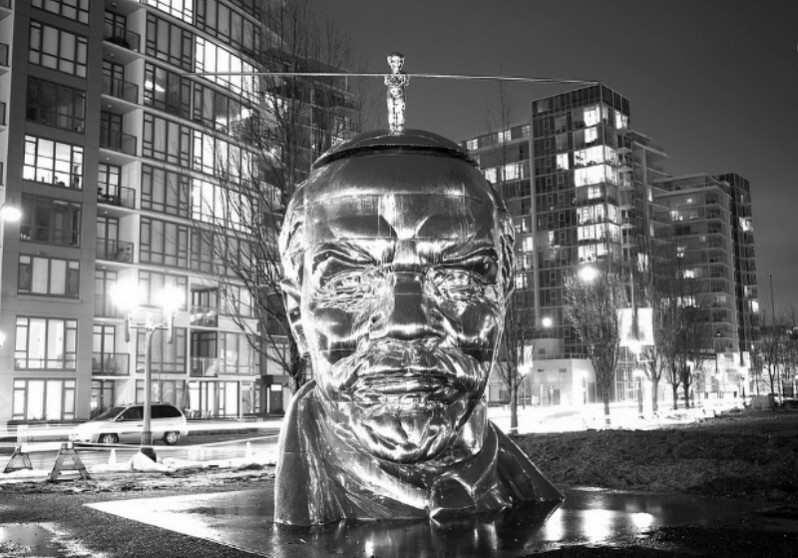 This super-sized stainless steel sculpture features two iconic historical figures, Chairman Mao depicted as a diminutive Miss Mao delicately balancing on the head of Vladimir Lenin. to play the role of critic to the political environment of their homeland. 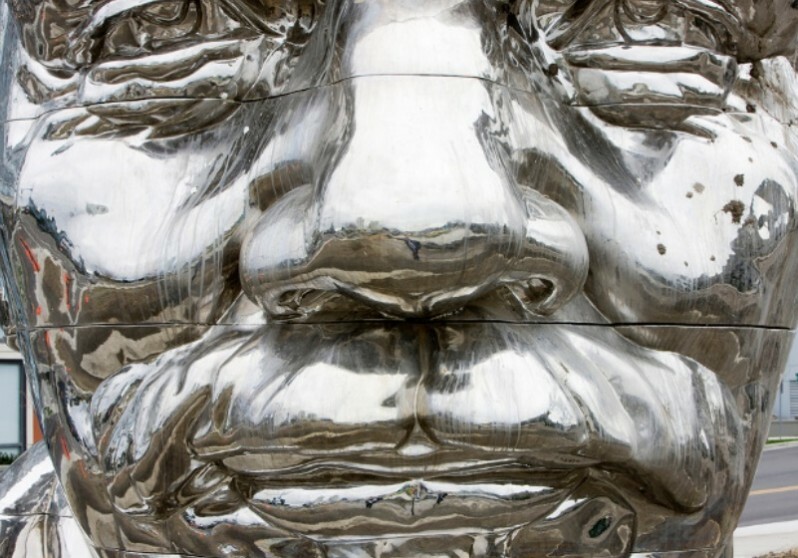 This sculpture can be read as a narrative, commenting on the relationship between the two leaders and their ideologies, as well as a reflection on the current nostalgic attitude towards Mao.